But you’re probably wondering why Install a “Automatic” Call recorder over a Manual one. The answer is simple. You’d probably get tired from having to manually record all the time, hence “automatic” call recorders would solve that problem and you can delete the recordings you don’t like later on. 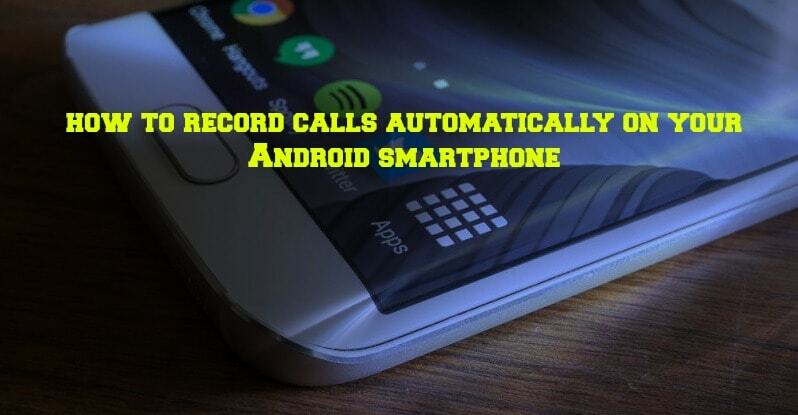 Now the question is, what Call Recorder to install on your Android Smartphone? Note: Test the call recorders by calling your friends. If one does not work, try others until one of them works and stick to that call recorder. My personal favourite is Automatic Call Recorder by LIQATO which offers a free and pro version available on the Google Playstore. Please do let us know how this call recorder worked out for you or if you’ve any other call recorders that work best for you in the comment section below.